From the origin of life to the fate of the universe, there’s plenty scientists simply don’t know. But they are making progress. 2015 has been a great year for science: we’ve seen the agreement of climate deal, pictures of dwarf planets and evidence of flowing water on Mars. So what will happen in 2016 – are there any major science mysteries that could be solved? We asked three experts to speculate. 1. What’s beyond the ‘standard model’ of physics? 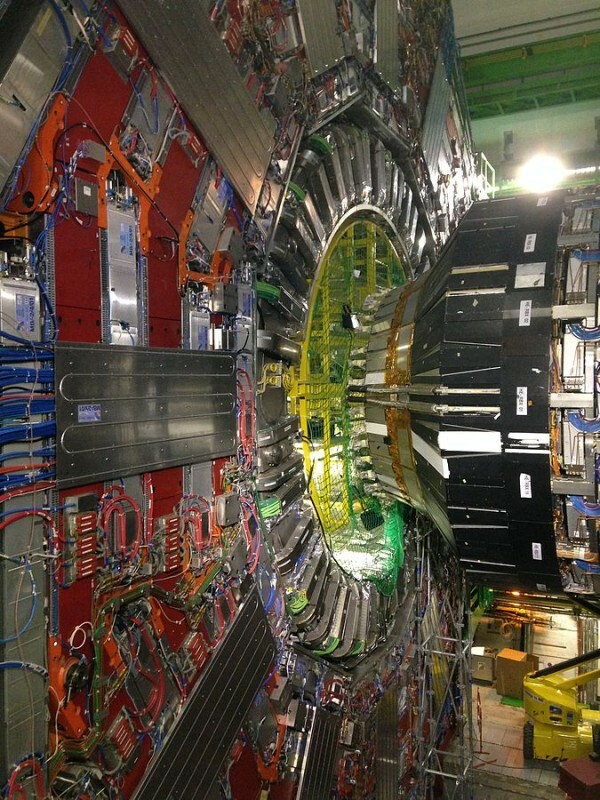 The Large Hadron Collider has already ticked one thing off the list with the discovery of the Higgs Boson in 2012. In 2015, the LHC began Run 2 after a couple of years of upgrades, now smashing protons together at almost double the previous energy. This month, the first experiments revealed a hint of a new particle. This could be the sign of “super symmetry”, a theory which proposes that there is a heavier super-partner for every particle in the Standard Model (our current best theory of the subatomic world). Super symmetry is important as it could explain many fundamental mysteries of physics, such as what “dark matter” is or the way that the laws of physics appear fine tuned to produce the world around us. However, the new particle could also be a sign of hidden dimensions, a second Higgs boson or – before we get too excited – a false alarm. We will have to wait for more data in 2016 to know for sure. 2. Can we create more elements? Since the 1930s, scientists have been creating artificial elements by smashing particles together to create new atoms. We now know about 24 synthetic elements taking the periodic table up to the as-yet unnamed element 118. With the recent synthesis of element 117 and the official recognition of the four most recently discovered elements, the remaining gaps in the known periodic table have now been filled. Scientists are continuing their attempts to extend the table further, trying to make elements 120 and above, though suggestions that element 122 has been discovered seem misplaced. Most recent advances have used the neutron-rich isotope Calcium-48 as a “nuclear bullet” fired into another heavy nucleus to create the new element. Further successes may involve either using an even heavier atom as the bullet rather than a heavier target atom, though it may also depend on the availability of better nuclear accelerators. It is hoped that – unlike most synthetic elements, which decay rapidly – a group of new heavier elements may exist in an “island of stability”. 3. What is ‘dark matter’? Dark matter is the mysterious stuff that seems to be everywhere in the universe, and is five times more plentiful than the regular matter that makes up stars, planets and us. Even so, up to now we only have indirect evidence for dark matter through astronomical observations of the gravitational pull it has on stars and galaxies. Until we can make a more direct measurement of it, we won’t know for sure what it is and how it fits in with the standard model of particle physics. Dedicated experiments such as the Large Underground Xenon experiment (LUX) are reaching new levels of precision as they are trying to directly detect a dark matter candidate known as the “weakly interacting massive particle” as it interacts with ordinary matter on Earth. So 2016 could be the year we finally see this mysterious stuff in the lab. 4. 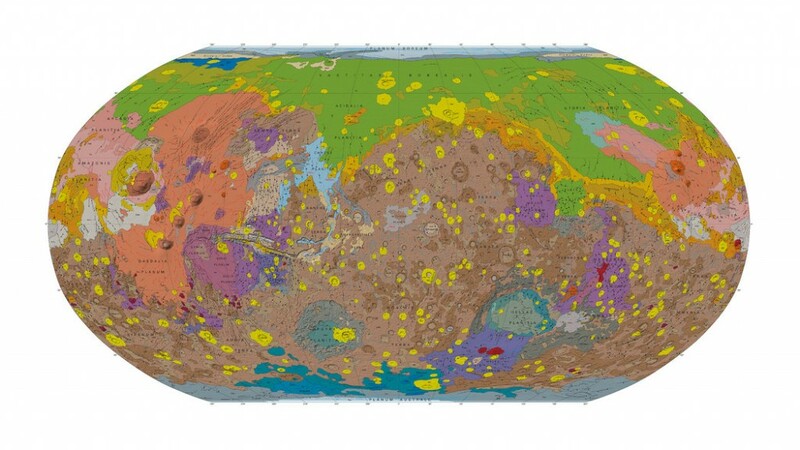 Is there life on Mars (or any other planet)? On Earth, wherever we find water – whether in the middle of a desert or in hydrothermal vents in the depths of the ocean – we find life. So, it follows that water on another planet means the potential for life there as well. Recent explorations of Mars have dramatically developed our understanding of the planet, showing that it had a watery past and, more recently, that it has flowing salty water. Alongside the continuing study of Mars, the Juno probe will, in 2016, study how much water there is on Jupiter. Another of our best bets for finding life may be Enceladus (a moon of Saturn). It has an icy crust but was recently found to have geysers spouting water vapour, making it one of the more likely places in the solar system (outside Earth) to contain life. 5. Do gravitational waves exist? Just as Maxwell’s equations of electricity and magnetism predicted the existence of electromagnetic waves such as light, Einstein’s theory of general relativity predicts gravitational waves – which are ripples in the fabric of space-time. But even though Einstein’s theory celebrated its centenary in 2015, we have still never seen them. This is mainly because they are so tiny: the Laser Interferometer Gravitational-Wave Observatory (LIGO) looks for these waves causing shifts 10,000 times smaller than a proton (which makes up the atomic nucleus together with neutrons) over a distance of four kilometres. Like the LHC, the LIGO detector came back online in 2015 after a major upgrade, and within a week rumours were flying about a discovery. No official word yet from LIGO themselves, but 2016 could be the year we find Einstein was right again. Advances in technology mean it is now possible to more carefully seek out rumoured or never-before-discovered animals. Trail cameras or camera “traps” are small cameras that are remotely triggered when an infrared beam is broken and can be left at a site for long periods of time without human involvement. They are increasingly being used in wildlife studies to monitor rare or elusive animals such as the Amur leopard (Panthera pardus orientalis) that was documented in China for the first time in 62 years. UAVs (Unmanned Aerial Vehicle) or “drones” are also increasingly being used in wildlife studies to survey inaccessible areas from the sky. For example a Canadian study found that bears are now taking advantage of food sources such as geese and their eggs, possibly as a result of a changing Arctic climate. These UAVs could be flown above a likely habitat of Bigfoot (or any suspected animal) in the hope that we would capture something on camera. Facts and Opinions is employee owned and survives on the honour system. Try one story at no charge. If you value expert, no-spam, no-ads, non-partisan, evidence-based, independent journalism, chip in at least two bits per story to ensure we continue. Details here.